Whistler, B.C.  Guided Fly Fishing Trips | Valley Fishing Guides Ltd.
Our experienced fly fishing guides are your experts for fly fishing all the local lakes and rivers near Whistler, B.C. We offer year-round, guided day trips where we will fish for various trout and salmon species, depending on the season. If you're traveling to Whistler, you won't want to miss this opportunity to see the best the area has to offer! 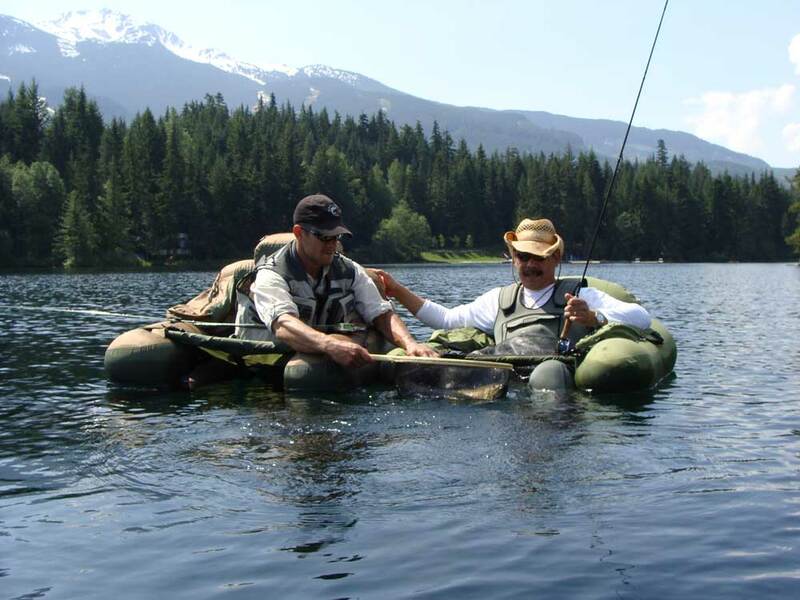 Guided Fly Fishing Trips in Whistler, B.C. Call or email now to begin planning your next fishing memories. 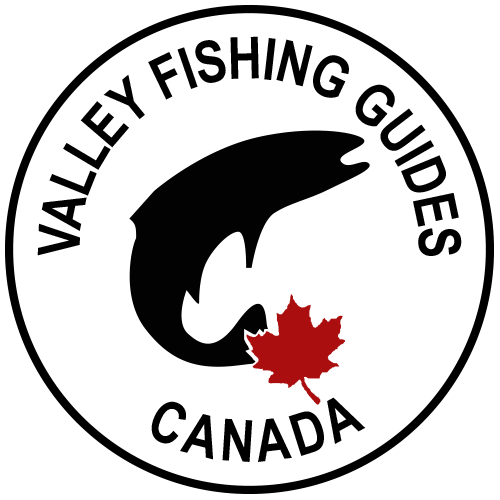 You can book online using this reservation form or call us toll free at 1-877-858-7688 or click here to send us an email with your request. We will also be offering our popular heli-fishing trips for sea-run bull trout in Late June through August. 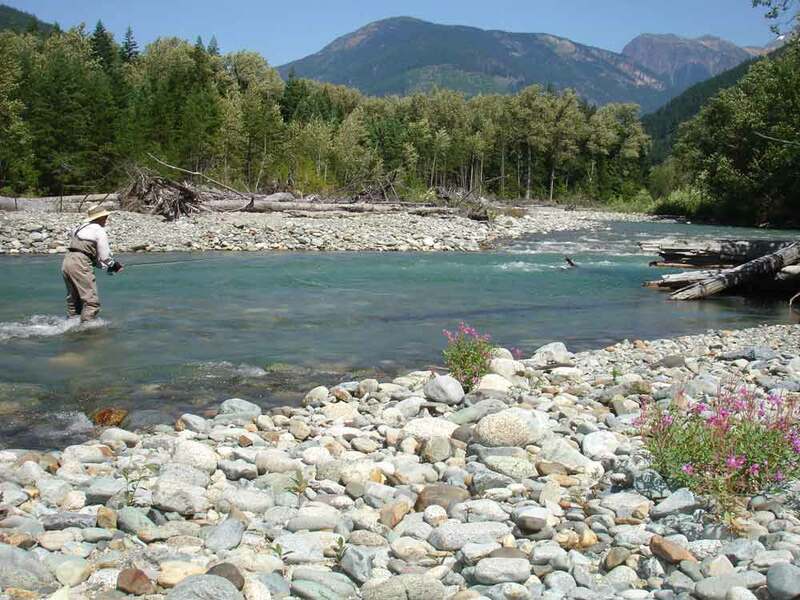 There are several rivers in the Whistler area that offer fly fishing opportunities at various times of the year. 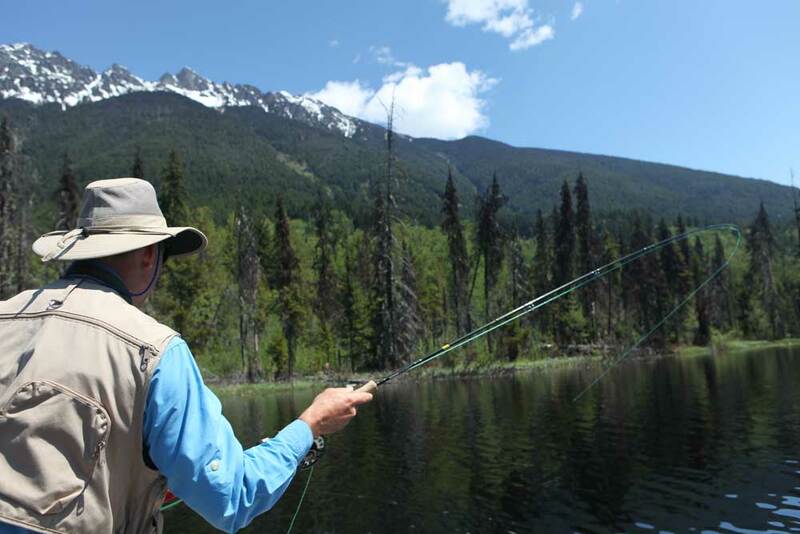 Dry fly fishing is available in summer months in Whistler and just north of Whistler in the Pemberton area. 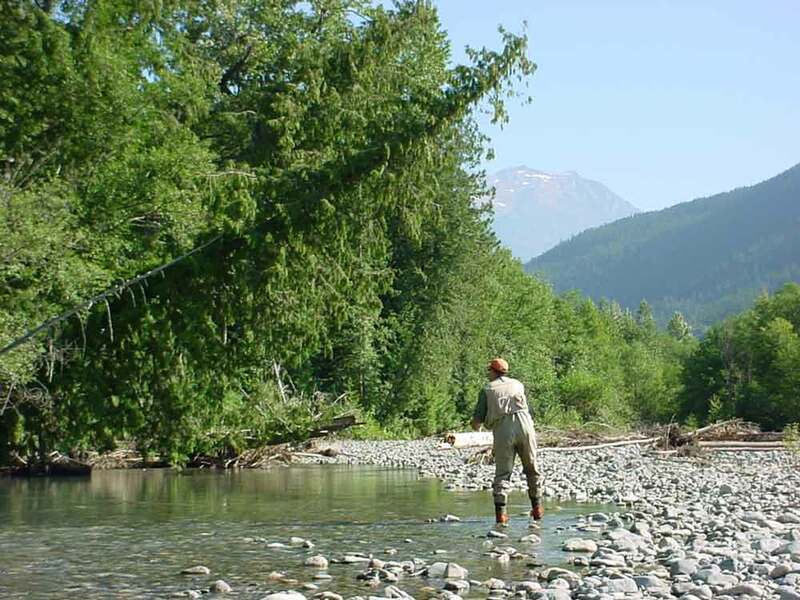 Throughout the months of August through to October enjoy fly fishing for wild rainbow trout to 12 inches on the upper Cheakamus river. As this is a high mountain stream without access to the ocean, the trout tend to be small but plentiful. Trout will take dry flies, wet flies, and nymphs. If you are looking for bigger fish you’ll need to travel to Squamish or by helicopter on one of our heli-fishing trips! The Birkenhead is one of our most scenic streams. The “Birk” offers some great dry fly fishing opportunities and is the final spawning destination for several species of Pacific salmon. A genetically unique species of chinook salmon begin to arrive in the Birkenhead river in the month of May along with Sockeye in the months of August & September. Although chinook and sockeye are not species that are targeted in the Birkenhead as there is no legal salmon fishery in that stream, the salmon return definitely spurs on some fantastic fly fishing for resident fish. Anglers can enjoy fly fishing for rainbow trout, cutthroat trout, bull trout, and mountain whitefish in the months of July through October. 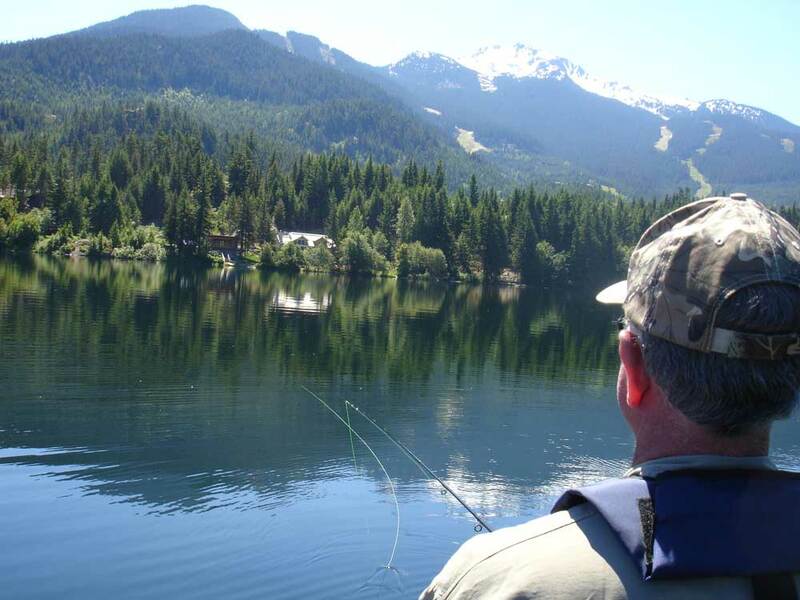 Lake fly fishing in Whistler is mostly for stocked rainbow trout, wild bull trout, and stocked cutthroat trout. These trips can be out of a boat or float tubes depending on the size of the lakes and all fishing is catch and release. We offer loch-style fly fishing from our jon boats for those interested in a more authentic fly fishing experience. Learn to fly fish from boats using the same methods our guides use in competitive fly fishing world wide. Alta Lake is Whistler’s second largest lake and is located centrally in the Resort Municipality of Whistler. 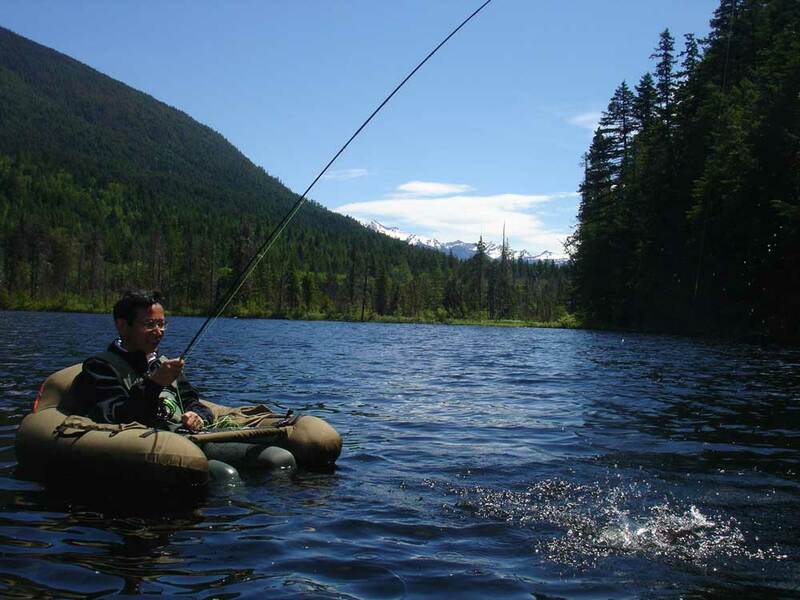 Historically, Alta Lake was a premier fly fishing destination in the late 1800 through 1930’s. Rainbow Lodge was located on Alta Lake, where clients would travel by rail for hours to get to the remote Wilderness Lodge owned by Alex and Myrtle Phillips. Looking for a remote fly fishing experience check out our fly-in fishing options or heli-fishing opportunities! "While on vacation in Whistler the guys spent a day fishing with Clint and crew. They had a fantastic time. 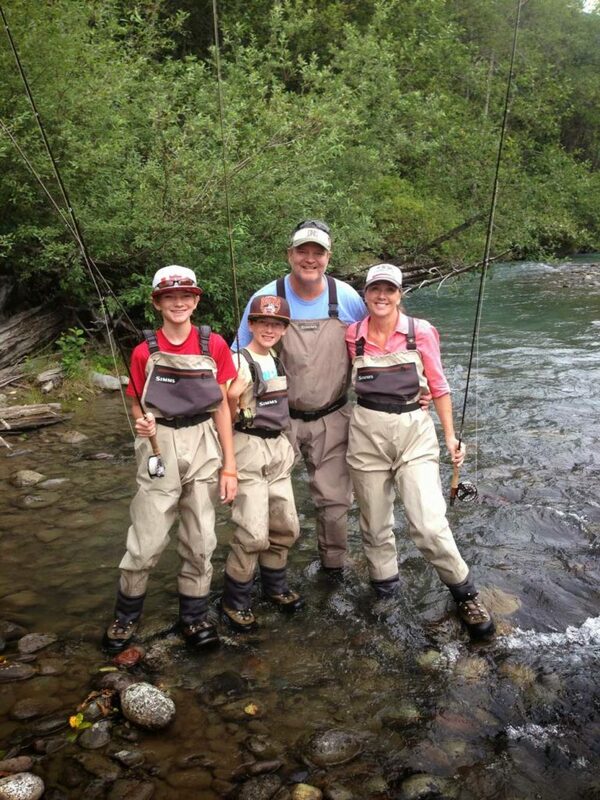 They learned a lot about fly fishing, enjoyed their time on the river and every one of them caught fish! My husband said "That guy Clint is the real deal! "The equipment is top notch and it was an excellent experience. We would highly recommend!! Thanks!"